Connect Digital Marketing with CRM! Know what brings visibility, Clicks & Lead! Digital Marketing & Customer Relationship Management! In the traditional world of marketing Advertising agency build brands by spending huge amount of Money to bring visibility till the brand become popular. They might do the same in the digital world too; but for small and medium enterprises only visibility is not the goal & they expect result / leads / orders as they can't afford to spend huge money like big brands just for visibility! Though other problem with SME is most of the time they don't keep up customer data using CRM to keep track on from where leads or order been generated; which of their traditional or digital marketing efforts are paying them off and if they really following up with the leads as there's cost involve to bring in the leads! CRM or Customer relationship management software is a technology that companies use to manage and analyse customer interactions and data throughout the customer lifecycle; what I am suggesting is SME should at least start tracking it for their pre-sales digital marketing efforts to understand what works and what not? In some cases; even if they use CRM to track their registered customer they don't connect their digital marketing efforts to same software as they feel lead is only a lead and not an account; what I mean is they add client data into their CRM only after lead / enquiry been converted as actual client! 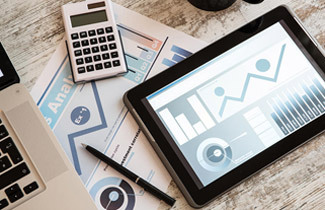 The whole point is you must connect your Digital marketing efforts to CRM software; if you have started your digital marketing campaign without tracking it properly your wastage of investment will be more than expected ROI return on investment! Not only that but once lead comes in you can use same CRM software to automatically send them reminders about your products and services at periodic interval and this polite hammering helps you in future to generate more business. By implementing Customer Relationship Management software with digital marketing campaign what ever data customer fill up automatically gets stored in database and your sales team can follow-up and record next follow-up call, demo, site visit or next course of action you normally carry with your client in your business! You will exactly know which prospective customer came to you using which of your digital marketing campaign and which digital marketing efforts are bringing in only visibility or results and visibility both. Moving ahead you can adjust your spend and over a period result will be you will be able to bring in more leads by spending less! Smart ! Isn't it! Following screen shot is dash-board of CRM for a particular period used by a company running their campaign on Google Search , Google's Network and Facebook. Figures show numbers of leads / enquiry been generated where in client actually filled up enquiry-form. Though what is important is how much this company spent on Google Search , Google's Network and Facebook to bring in this lead; how many people viewed or clicked their advertisement? And what's finally the cost per lead? This monitoring and analysis helps company to decide if they are on right track in terms of bringing in visibility or leads! Based on above clarification refer to screen shot from Google Display Network where in google place your display ads on a huge network of sites across the internet; so more visibility but as per first screen shot it generated only 22 leads ; this means you have spent huge amount INR 1066 per lead and you should avoid this medium if your goal is leads; but if your goal is visibility you will see it also bought in your ads for 2916256 (Impressions) and been helped 9010 people to visit your site! Here point is we are not discussing what's good or what's not as it also depends on kind of products / services you are offering, advertisement creatives, keywords selected and so on but I want to emphasise on if you don't connect your efforts to CRM software you will never get an idea on which of your investment you spent on particular campaign gave you the best results! Are you achieving your goals and targets? 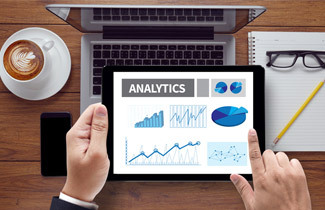 Dig More Deeper Into Google Analytics! 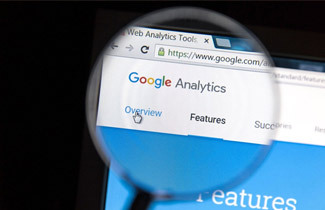 Google Analytics : Who, Where, What & How your Audience surfed your website!